this building serves as one of the offices for Zappos, an online shoe retailer. This office was the site of the old Las Vegas City Hall, and GSL’s scope on this project included the remodel of the old Chambers area into a theater. 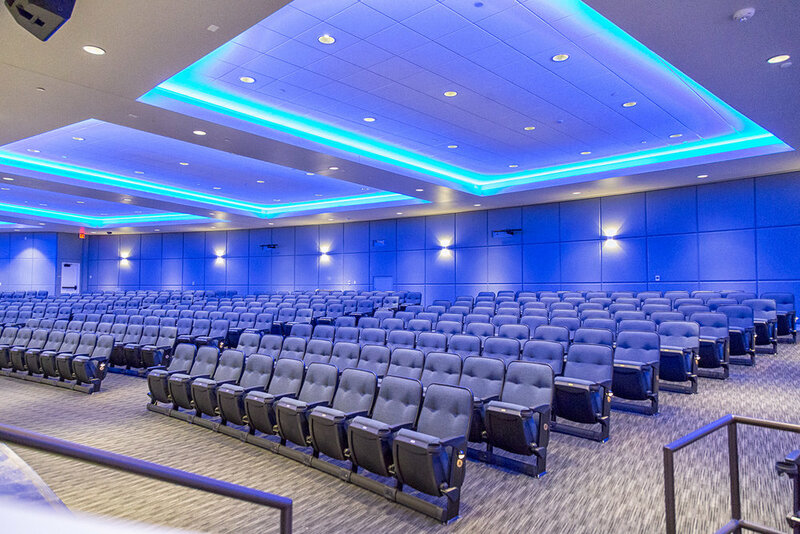 A new stage, sound system, green room, A/V room and storage room, voice data, fire alarm, security doors, and a projector were all new features installed in this theater conversion. The finished theater is used to host presentations, film screenings and other events for the 1,500 employees who work for Zappos.